More about bees « Nothing in Biology Makes Sense! Working with snails was easy. They are easy to catch, easy to keep alive, and people are largely not interested in them. Bees, however, are a challenge. They are picky about the weather, they fly around and people are coming out of the woodwork to talk to me about them. I’ve never met so many people who are engaged about bees. So much so that after my recent Notes from the Field post, a friend sent me an article from NPR. That’s right, NPR wrote an article about things I’m working on. 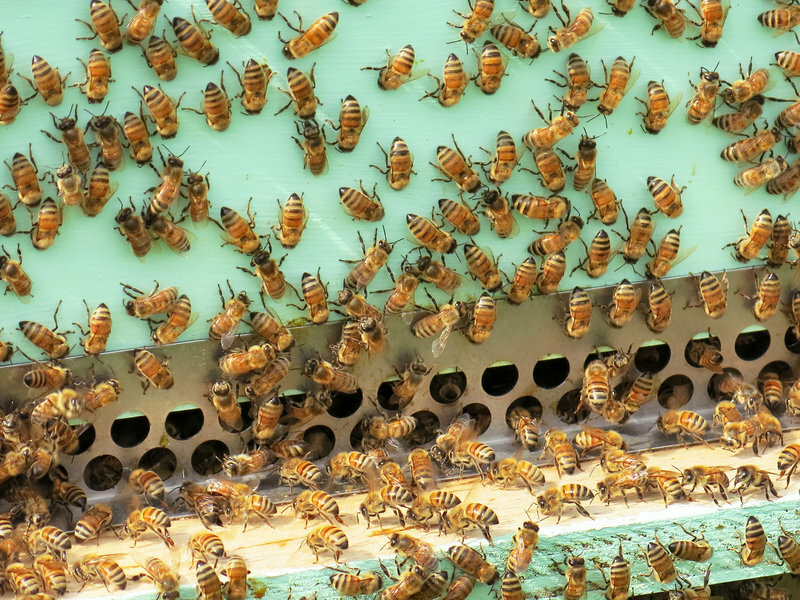 Read about bees and viruses over at NPR! This entry was posted in big questions, parasitism, pollination, science communication.